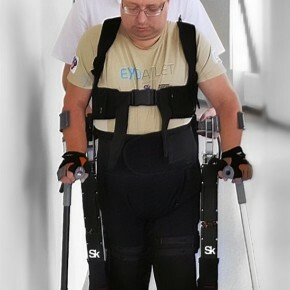 Clinical trials of Russia’s first medical exoskeleton have begun in a Moscow hospital, marking the latest step in the Skolkovo-backed innovation’s battle to reach the market. 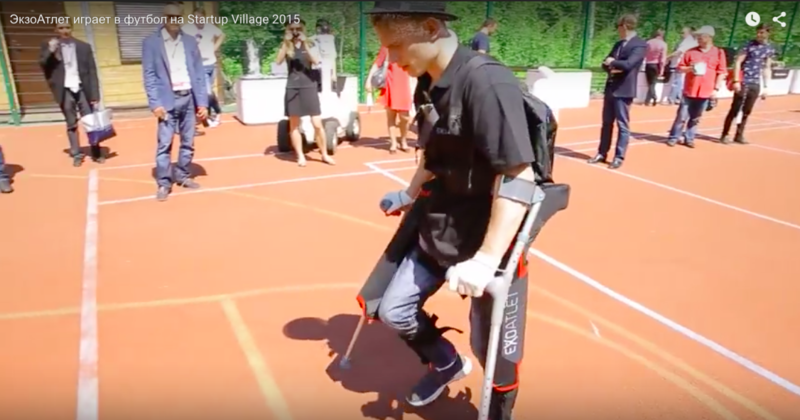 The exoskeleton, produced by Skolkovo resident ExoAtlet, was being tested by a group of volunteers, who are paralyzed from the waist down, at the N.I. Pirogov National Medical Surgical Center. “This is a very important transition for us, from lab testing and working with a few pilots, to large-scale trials on a broad audience,” said Ekaterina Bereziy, an ExoAtlet co-founder and its development director. “At the clinic, there are patients with various characteristics, with different injuries, of differing height, weight, even temperament. Each has his or her own wishes and fears. So here we can see the full range of real-life applications for ExoAtlet. For us, this is a very important field study,” she added. 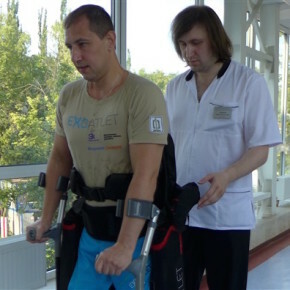 ExoAtlet is the first company in Russia to deal with exoskeletons and has patented its technology. Its medical-use model, known as ExoAtlet-Med, supports movement for people with restricted limb function, and rehabilitation for lower-limb trauma victims. It is designed to help overcome paralysis caused by cerebral apoplexy or spinal cord injury. It could also benefit sufferers of cerebral palsy and similar diseases. Seven hundred people volunteered to try out the ExoAtlet innovation, but doctors whittled the list down to just a few people who had to undergo two weeks of intensive training, Bereziy said. “Here we’ve found the support and the high levels of interest that are very important for us,” she responded when asked why the Pirogov Center was chosen for the clinical trials. Despite the short duration of the training courses, the trials will take months to get through, she added. But the ExoAtlet team don’t intend to let the trials slow their attempts to start generating revenue: “We’re taking the next step in parallel with the trials: We plan to start sales of the exoskeletons for private individuals, and we really hope to complete our first sales by the New Year,” Bereziy said. Doctors, meanwhile, said the technology could be pivotal in the history of spinal injury rehabilitation. When it hits the market, the exoskeleton is expected to retail for about 1.5 million rubles, a price that won’t change despite the weakening currency, Bereziy said. The clinical trials come almost exactly a year after ExoAtlet joined the Skolkovo ecosystem as a resident of the IT cluster. “One of Skolkovo’s functions, as an innovation center, is the acceleration of breakthrough ideas to products on the market,” said Albert Yefimov, Skolkovo’s chief roboticist. “And there’s no doubt that the exoskeleton produced by the ExoAtlet team is a true breakthrough solution. With this project [ExoAtlet], we’ve focused specifically on the acceleration aspect. Just over a year ago the team demonstrated a prototype that was barely usable, but now ExoAtlet has reached the clinical trials phase. The speed of this project’s development has been simply phenomenal,” he added.